If you like to golf, there are almost too many options in St. Paul. In fact, last year MinnPost reported that the city is trying to figure out what to do with all the city courses because they’re no longer profitable (learn more about urban golf course decline here). Does it take too long to learn? Regardless of the reason, the Saintly City is looking to grow their own future players with a number of programs. The newest is their Sunday night “Family Fun Golf” where kids golf pay nothing and an adult plays for only $10. Children must be 7 years old and you can only make reservations 2 weeks in advance. Part of me thinks these will fill up fast–it’s a great deal and low-pressure atmosphere for kids. With extra short tees and lots of kids on the course there shouldn’t be anyone demanding to play through. 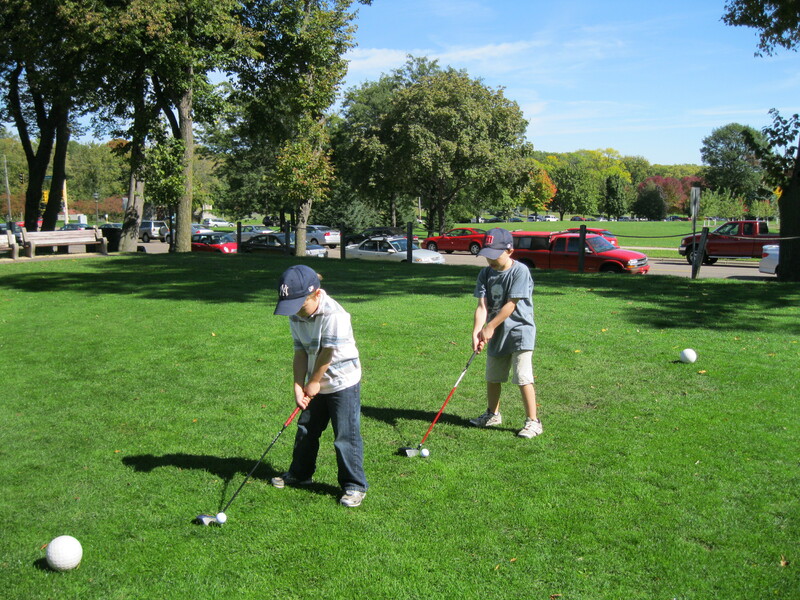 First Tee, a national golf non-profit, provides lessons and junior leagues through the local St. Paul branch and in cooperation with St. Paul Parks and Recreation. 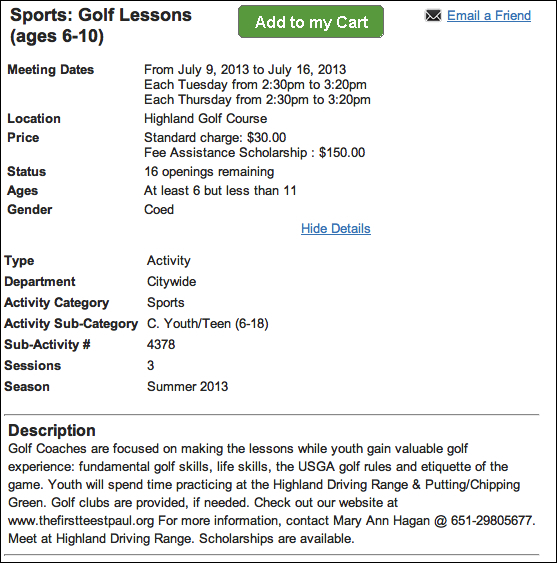 For only $30 young kids can learn to chip, putt, and drive in twice-a-week two-week series of lessons. Better players, or at least, passionate ones can play in a weekly Monday morning league (5 or 9 holes), including one just for girls. How do I know about this? I’m on the email list. We need a summer activities fair. But what if you’re a new parent whose child is ready to move up beyond plastic golf clubs? How do parents learn of programs for their kids? Is it all word-of-mouth and Google searches? We’ve got a Home Improvement Fair in Highland Park, why not a summer activities fair–in February when we’re all dreaming of warm summer breezes?